The Studebaker Daytona, introduced in 1964, was a Brooks Stevens restyled version of the previous generation Lark and lasted until the lights went off at the Studebaker factories in 1966. Anyway, the Lark badges were left off the post '64 cars and you could get a Challenger, Commander, Daytona and Cruiser version depending on level of equipment and options. 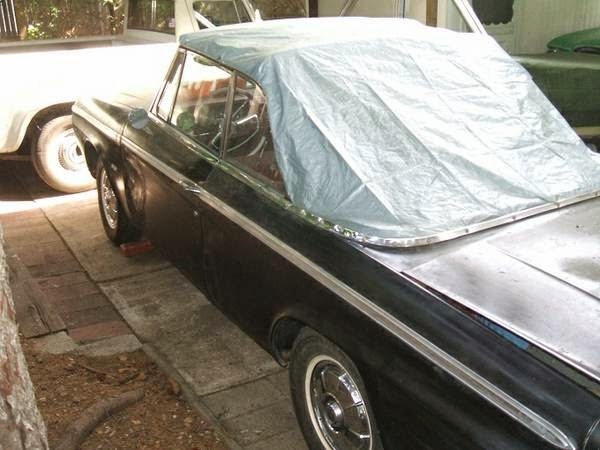 Find this 1964 Studebaker Daytona Convertible offered for $3000 in Painesville , OH via craigslist. Tip from Doug. 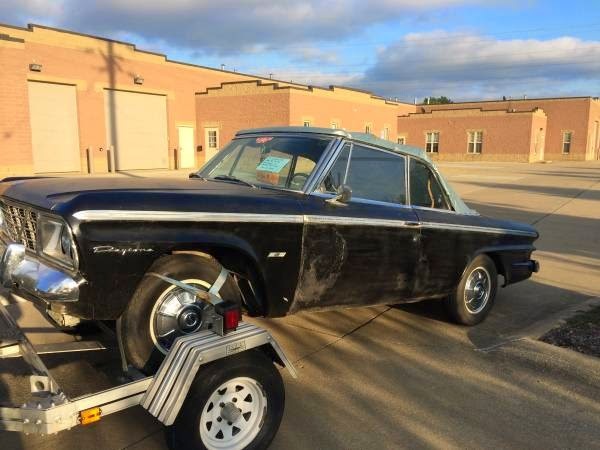 The seller lists this car as a 289 cubic inch V8 optioned Daytona, and the base 2-bbl Studebaker V8 would have been good for 200 horsepower. But Studebaker also had a 4-bbl option making 225 horsepower, as well as the blown 289 that made 289 horsepower. 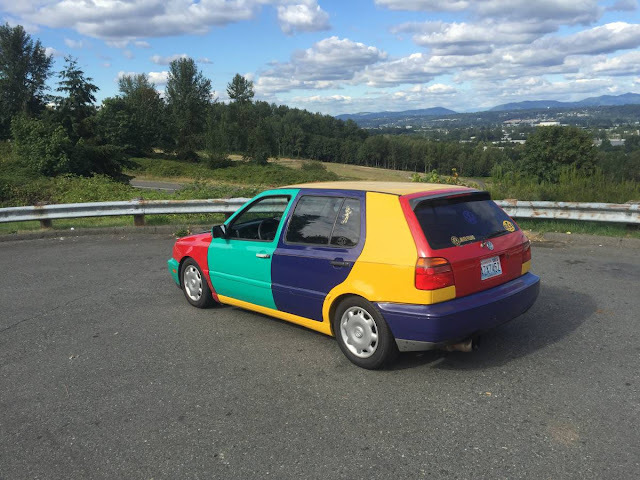 Which one is this? 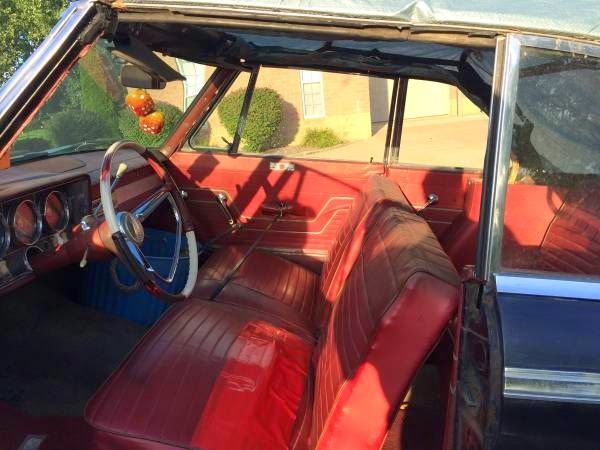 This car is advertised as a barn find and will need some serious work before you are cruising around, but the seller says he has all of the convertible parts, which would probably be difficult or impossible to find give the relative rarity of the drop-top Daytona. However, once you are done, this could be a serious show stopper at your local Studebaker meet. Isn't there one on every street corner on Main Street, USA?